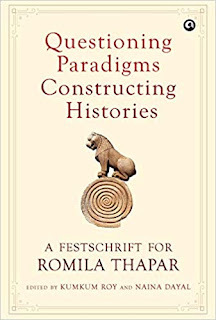 During the course of a long and distinguished career, historian and public intellectual, Romila Thapar has produced a unique body of work. Her original and path-breaking commentaries and essays on ancient Indian history, along with her incisive writings on culture, society, archaeology, philosophy, classical literature and education have inspired a growing number of historians, scholars, public intellectuals and ordinary people alike. In this Festschrift, Romila Thapar’s students and colleagues from across the world celebrate her contributions by applying her methods and insights to a range of historical, philosophical, sociological and cultural questions. Questioning paradigms, constructing histories aims to bring Romila Thapar and her pioneering work to the attention of a wider audience. According to Romila Thapar: ‘...An enquiry should begin with a question... The question may be something quite simple, the answer to which will further qualify what you are saying. Or it may be a question that gives you the possibility of looking at the event or the person in history from different points of view. And that one question then leads to other questions that reflect these different points of view. 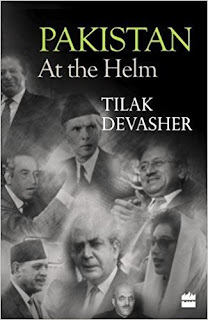 So I would say that the fundamental approach to any piece of research or what one is working on grows out of a question.’ The book is divided into five parts—‘political processes’, ‘The symbolic and the social’, ‘historical consciousness and reconstructions’, ‘looking beyond India’, ‘The past and the present: dialogues and debates’. 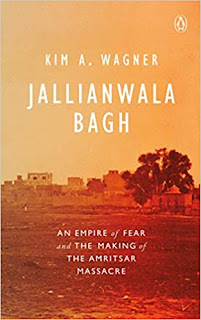 each part focuses on a br>Theme that Romila Thapar has worked on and topics that she has returned to time and again. Together, they showcase her exceptional achievements as one among the best historians of our time. KUMKUM ROY teaches ancient Indian social history at the Centre for Historical Studies, Jawaharlal Nehru University. Her publications include The Emergence of Monarchy in North India (1994) and The Power of Gender and the Gender of Power (2010). She is interested in gender, political institutions, histories of marginalized groups as well as in pedagogical issues pertaining to the teaching of history, and has worked with teams involved in the production of school textbooks at the state and national level. Naina Dayal teaches history at St. Stephen’s College, University of Delhi. Her research interests include the period c.320 bce–300 ce, during which the Sanskrit Ramayana and Mahabharata took shape.